A modern and creative alternative to the traditional wedding guest book. Each guest signs their name in one of the love hearts! 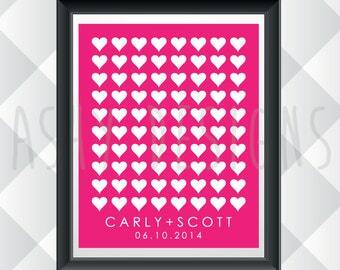 Choose your size and colour, personalise with your names and wedding date! 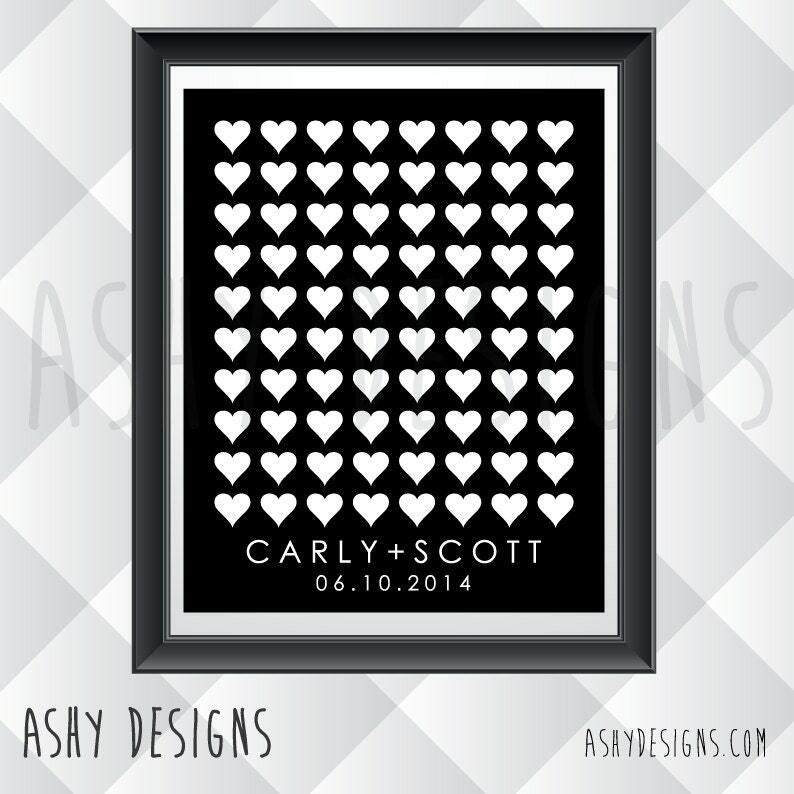 After your special day you could have it framed and displayed as a work of art in your home. This also makes a thoughtful gift from a wedding guest to the bride and groom. I am able to customise my designs to allow for any number of guests and any poster size. Feel free to message me and I am happy to customise this for you.